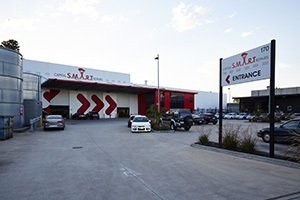 The S.M.A.R.T Centre is located directly opposite Village Drive-In Cinema Coburg, and next door to Reece Plumbing Centre. If using a GPS, you should enter 169 Newlands Rd Coburg into the GPS as 170 Newlands Rd is not recognised. When dropping off your car enter the roller door on the right hand side of the workshop and park in the dedicated assessment bay.